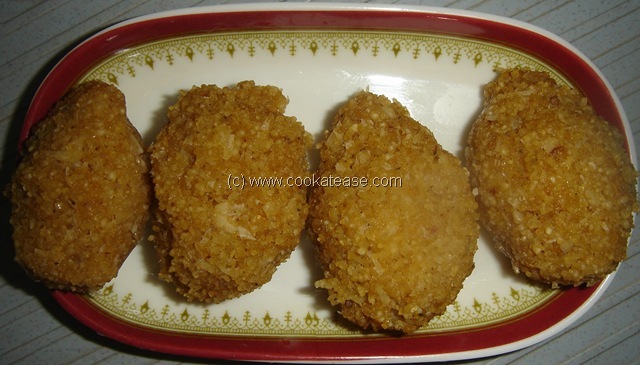 Sweet Pidi Kozhakattais are mostly prepared with rice flour (arisi maavu) for Puja. 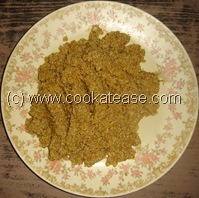 Here I have tried out with Rice Rava. 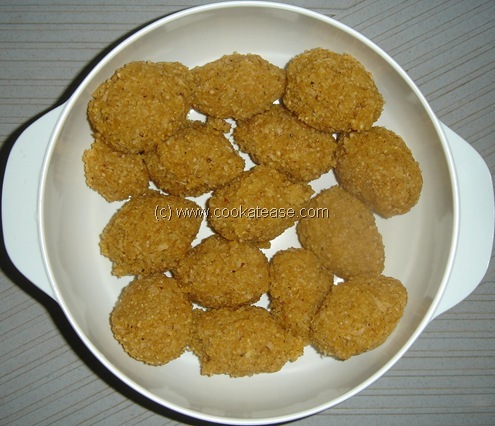 This Pidi Kozhakattai is not sticky and easy to chew. 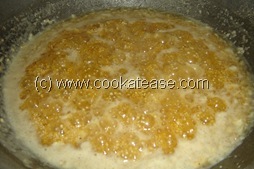 Boil jaggery with 2 cups of water; boil it till jaggery dissolves fully. 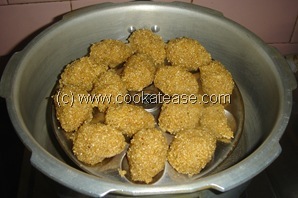 Fry rice rava in a dry pan, till rava turns to golden colour. 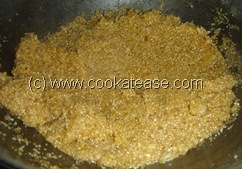 Add cardamom powder, coconut and dissolved jaggery; cook till the mix is thick. 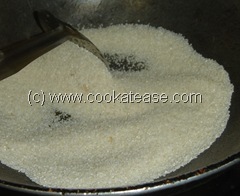 Allow the mix to cool; with wet palm mould it as shown in photographs; steam cook for 10 minutes. 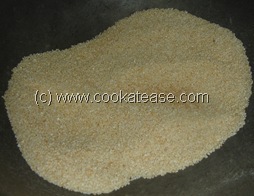 Rice rava should be fried dry. 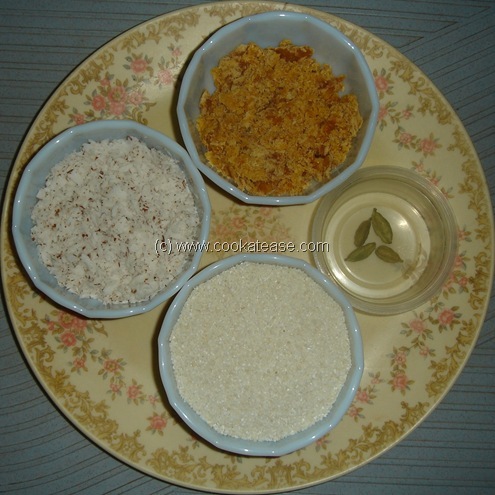 Coconut can be grated coarsely to give better taste.